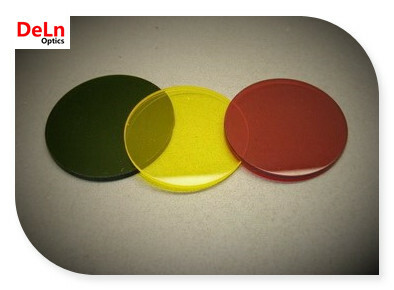 Due to its selective absorption in visible wavelength range, color glass filter will exhibit various color depending the glass type. Color glass filter provides an economical filter for various applications. Please see more glass types.